In the world of gambling, there are online casinos and land based casinos that are presented to prospective players with detailed reviews and ratings. As is often the case, the various game options, their themes and features are described with detail, as well as methods of payment which relate to deposits and withdrawals. There is also mention of regulatory authorities that guarantee the safety of players, and advice on gambling addiction to allow players to take control of their wins and losses. These are just a few of the factors that play a role in the world of casinos, but there is also daily news, because there are always changes in this dynamic market, or something happening that influences the development of the industry. In this next section, you will find examples of news and other things happening in the industry that is changing the world of casinos every day. There is a theme that always makes players dream: to win a lot of money in a casino. The good news is that this happens quite often. That's why we regularly report on progressive jackpots or big winnings on slot games, video poker or table games. 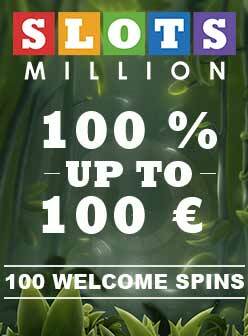 In order to attract new players or to make existing players happy, the casinos organize special promotions and constantly offers new ones. For this reason, we report on new bonuses in on-line casinos, as well as special promotions, which apply for a certain time period. The casino industry is also characterized by partnerships between companies or changes in the regulatory landscape. We report about what’s making news in the industry as well as new laws and regulations that govern it worldwide. All in all, you can find everything about the events that happen in the world of online and land based casinos.